Even though much of the country is currently covered in snow, it is, technically, Spring now! We have seen glimpses of warmer days that are quickly snuffed out by a cold snap. I'll let you in on a gardening rule of (green) thumb: Don't plant annual flowers until after Tax Day (because there can still be one last cold snap). A couple of my young hydrangea plants from last year got slimed by the cold a few weeks ago. 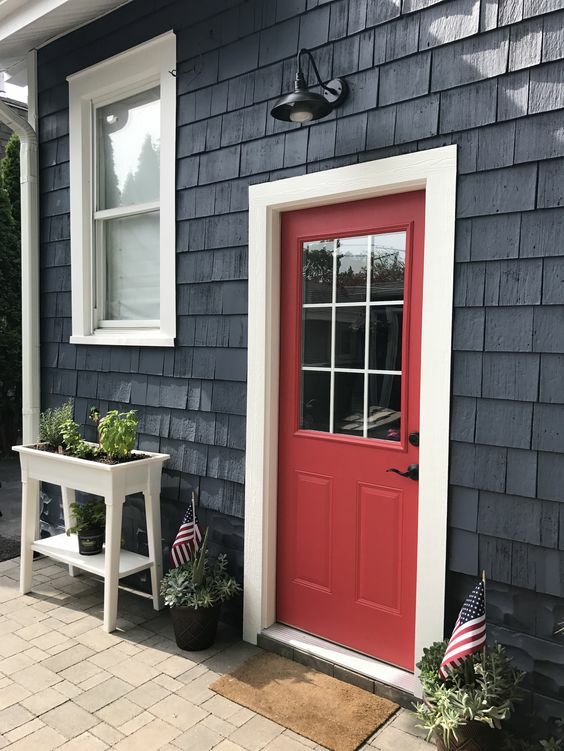 As we look forward to those warmer days sticking around, our house projects will move outside (see our 2018 house project goals here). 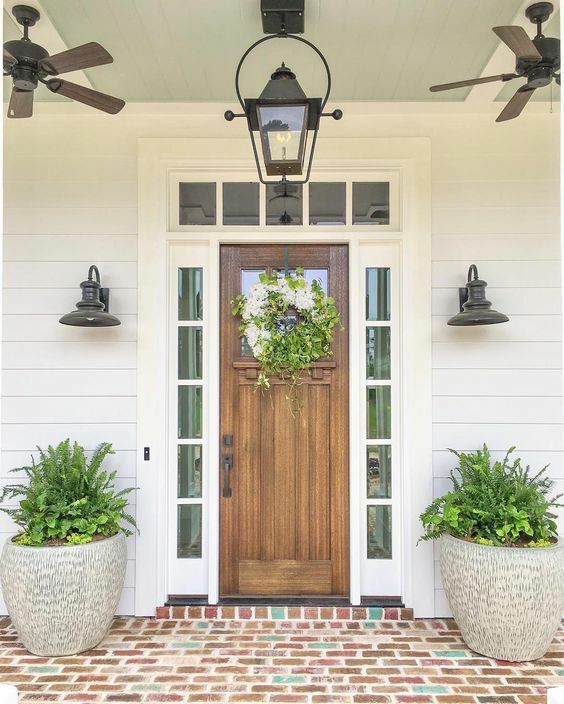 While yard work days are just around the corner, I wanted to take this time to talk about curb appeal and the importance of treating the exterior of your home with as much care and attention as the interior. 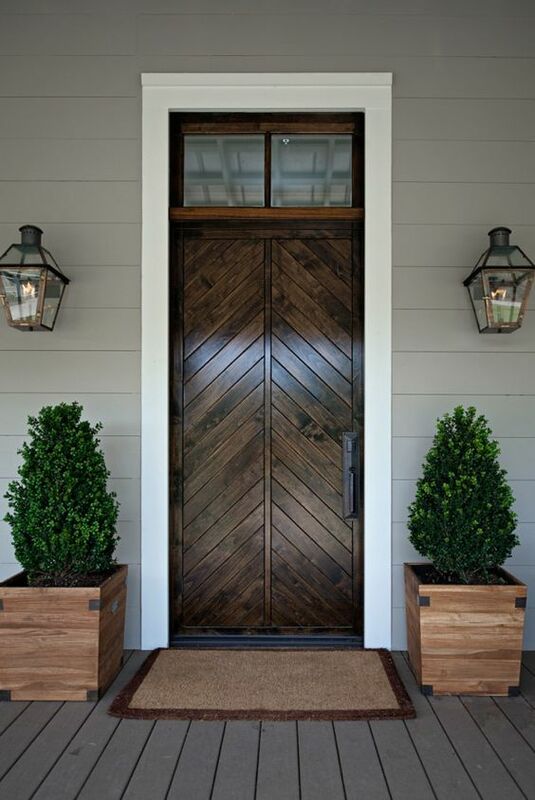 The exterior of your home sets the tone for what to expect on the inside when you walk through the door. 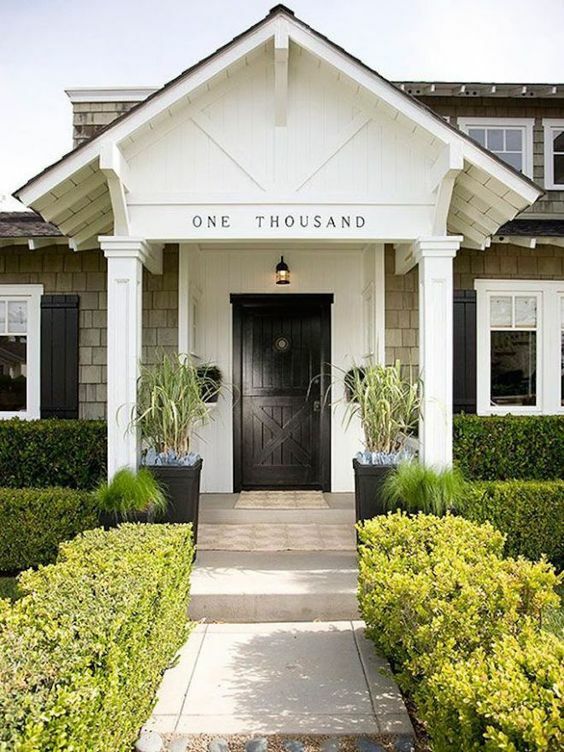 It is the first impression of your neighbors and guests. 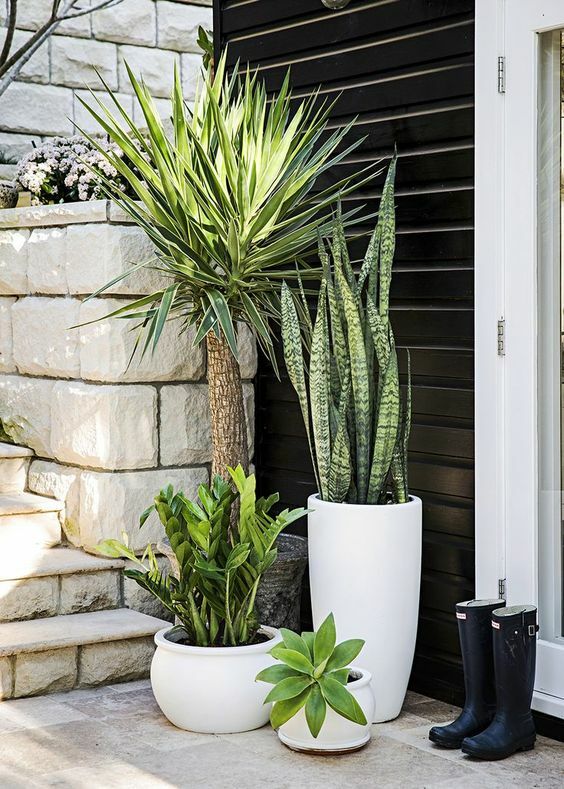 More than anything, keeping a tidy and attractive yard makes your street as a whole look better too. 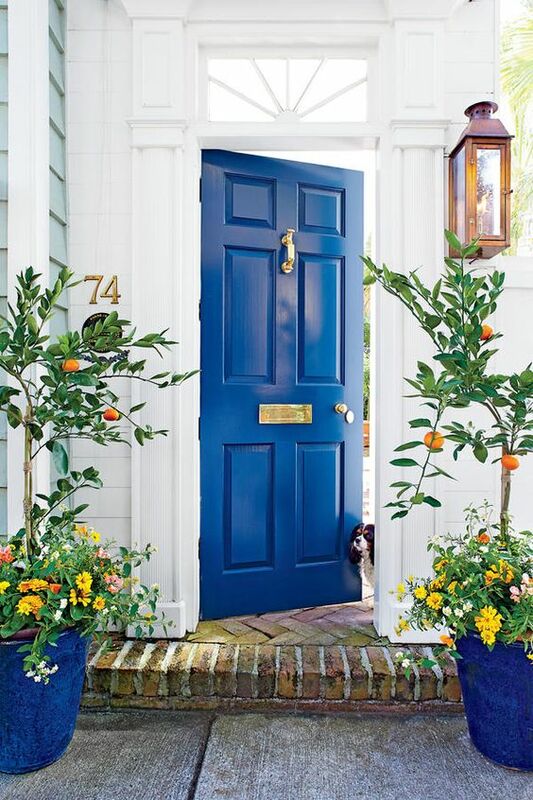 Focusing just on the entry for now, I have some ideas for front porch plants that will make the exterior of your home look inviting and welcoming this Spring (click on the image for sources). 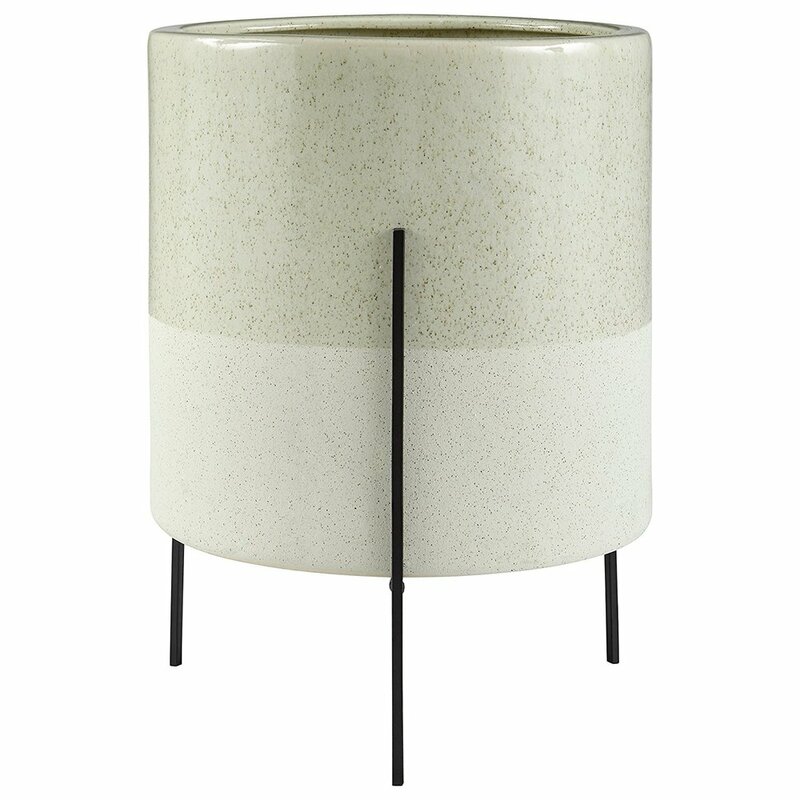 Scroll all the way to the bottom for a round up of my favorite planters under $100 to dress up your curb appeal. Casual Friday + a Spring Cleaning Giveaway!